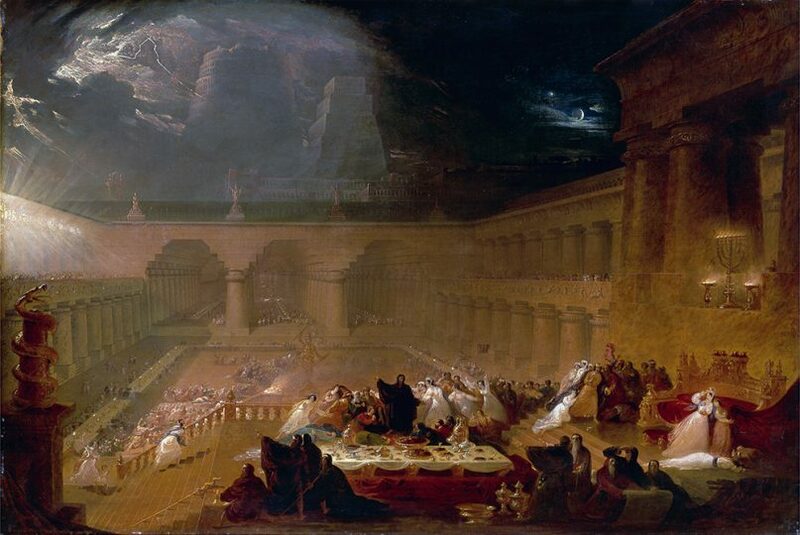 There’s a story in the Old Testament about the king of Babylon, Belshazzar, who hosted a dinner for his religious leaders and royal elites. The blindingly arrogant king, surrounded by adoring sycophants, hauled out the holy articles stolen from the temple in Jerusalem to swank up his party. The lesson of Belshazzar is that co-opting the things of God for the purpose of arrogant power is dangerous business. God showed up in a puzzling display of divine judgment — a great hand appeared and began to write on the wall. 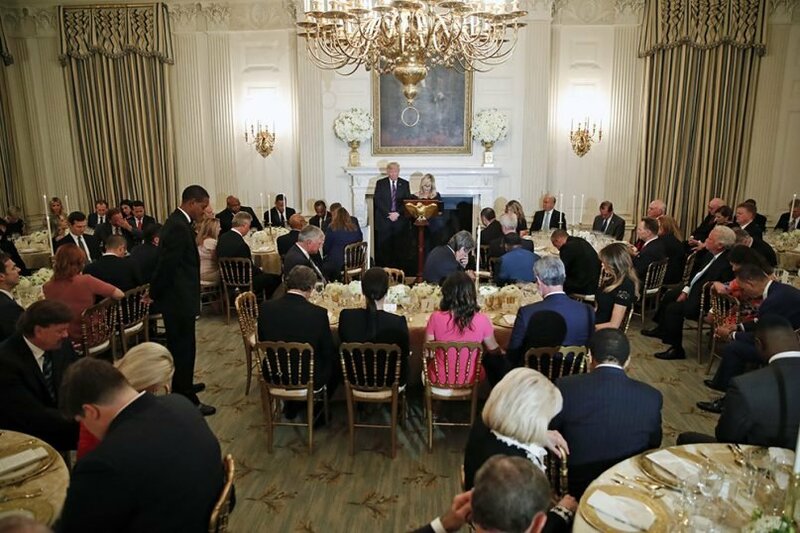 On Monday night (August 27), the White House hosted something like a state dinner to honor the leadership of American evangelicals. Many cabinet members were present, along with the president, the first lady and dozens of members of the group of informal evangelical advisers who enjoy unique access to President Trump. Jeffress isn’t even hiding the partisan political role he is actively playing. Instead of showing up on God’s terms he’s all about the midterms! Resettlement of persecuted Christians from Iran and Iraq – which together accounted for about 60,000 Christian refugees over the past decade – are down by roughly 99 percent: Just 46 Christian refugees have been allowed to arrive this fiscal year from these two countries, among those where advocacy group Open Doors says that Christians face the “most extreme” persecution in the world. Other religious minorities have been kept out as well: just one Jewish refugee has been allowed in from Iran (compared to more than 70 in 2016), and only five Yazidis from Iraq (compared to hundreds in 2016). Any mention of these needy people of faith Monday night? It’s true that the share of Syrian refugees admitted to the U.S. in fiscal 2016 was small, but at least 120 Syrian Christians were admitted that year. In the past eight months, only nine Syrian Christian refugees have been able to come to the U.S., on track for an annual decline of about 90 percent. Were the traumas of Syria spoken of on Monday evening? There are evangelical Christians concerned about this dynamic. A letter released earlier this month by the leaders of several influential evangelical organizations, including the National Association of Evangelicals, the Southern Baptist Ethics and Religious Liberty Commission, World Relief, and the National Hispanic Christian Leadership Conference, urged the administration to consider an annual ceiling of at least 75,000 refugees for the upcoming year, consistent with historical norms. We were proud to add our names to the letter. If we take the lessons of the biblical prophet Daniel seriously, what came true for King Belshazzar threatens this president too.